A group of 13 Perthshire businesses, including Strathearn’s Crieff Hydro and Blue Sky Experiences, has been awarded £18,500 by VisitScotland to help market the region as a top destination for conferences and exhibitions. First Minister Alex Salmond announced the funding for the Perthshire Business Tourism Group at Perth Racecourse, one of the partners in the group, in August 2011. VisitScotland match-funded the £37,000 project, which also includes a £4,500 contribution from Perth and Kinross Council, to pay for marketing activity such as arranging press trips, using social media and producing a promotional video. Speaking at the time, Mr Salmond said: “Perthshire has beautiful scenery that attracts many thousands of tourists each year, driving the local economy and helping businesses thrive. The full article is from Travel Mole and headlines that Hotel pays guests £1,600 after they were bitten in the night. The London hotel paid two sisters £1,600 compensation after they were bitten by bed bugs in their room and fears must be that it will just be the tip of an iceberg or a tiny bitesize peice of what may follow if it opens the flood gates to other claims by hotel guests suffering similar. Apparently bed bug infestations are reportedly on the rise across the developed world and the number of patients treated in the UK alone for bug bites has risen 19% in the last year and are a particular problem for hotels as the bugs travel on clothing and in bags, so they can easily spread. After seeking legal advice from their solicitors the guests reached an out-of-court settlement with the hotel - you thought they may have added a no publicity vclause to the settlement don't you! Apparently They told BBC Radio 5 Live they would spend the £1,600 on a holiday - would you book them in? All of Plan B's more recent web clients have benefitted from the set up or auditing of their Google Account which includes the set up usually of a Blog, Analytics, YouTube Channel, Alerts and possibly most importantly Google Places. First off is if you don't have a Google Account then you need to get one set up immediately. It is free and any business that is not utilising the tools in there is not truly working their online presence properly. In a blog posting featured on Hotelmarketing, Laurian Clemence, Corporate Communications & Public Affairs with Google UK highlighted the imprtance of Places, “By having an online presence via Google Places, hotels are enabling users to find and interact with their business,” says Clemence. He recommends keeping listings simple, accurate and consistent. From a tourism perspective Google Places is taking, and is likely to take even more, prominence as Google identify means of improving their social media offering (see Google + and Googe +1 Button articles elsewhere in this blog). But even now have a look at how it impacts on you just now. Before jumping into the content below why not spend a couple of minutes looking at what's currently happening in your area and how Googel Places is using your (and your competitors) information. Open a new window and try the following for your own area. 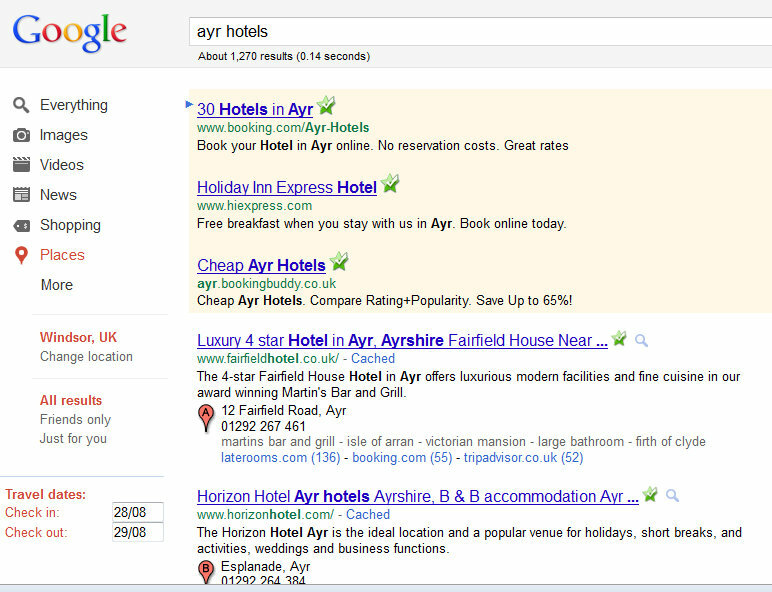 We've typed in Ayr Hotels and the search has come up as follows. As usual paid listings at the top and right hand column - no change there. But on the left hand column you can now filter your searches - Click on Places and see what happens to your results. Another addition you may not have seen is the Travel Dates button on the left. Visible on Tuesday but not Friday so a test feature we'd guess but an indicator perhaps of how Google Hotel Finder will come into play very soon. The hotels are listed by letter via the Google Places information and on the map. Not the new information associated with each entry. By rolling over the listing you get an impresion of the website. In reality this means that the potential guest can get an impression of your website without leaving the search. Is your site ready for that? You'll also have noticed that in Google Places the online travel agency and third party websites have vanished. 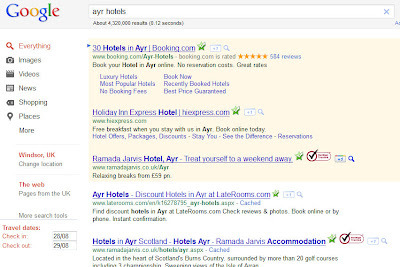 This in iteself must offer hotels hope for regaining some of the business lost by the OTAs adveritsing and buying power. 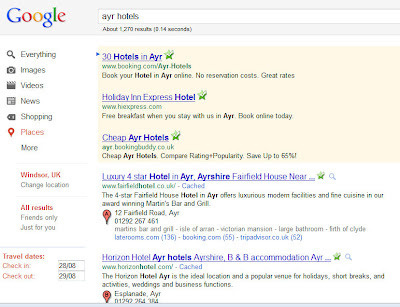 As the traveller uses Places more for specific searches the hotels have got a greater chance of relevant visibility. The price button on the right hand side is linked to the Travel Dates button on the right hand side. Change the dates and the rates displayed will alter. The prices the hotel is offering to each of the OTA's then becomes visible with a click of the drop down button next to the best available price. Most importantly however is the fact that the hotels are now clickable directly from the link. It is therefore of obvious importance that you have the best available rate on your website and use every tool available to promote it. See below. 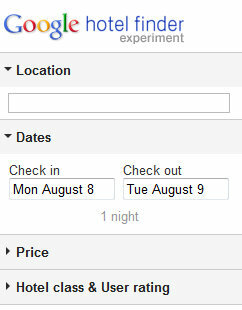 Also note at this point that if you don't have your Google Place active you won't see your own booking link. It also increases ease of competitive price transparency - the easy to click price button means that for any selected dates you and by definition your potential guests can review your competition's pricing (or be reviewed by) before they even need to open a website. Good or bad? Depends on how effectively you promote best available rate in your title tag! Hotels who are succeeding in converting direct online sales (that is through their own online booking engine on their own website) Best Available Rate is a given. Why offer your direct customer a higher rate than if they book elsewhere? Rhetorical question. So with the introduction of this on-search page transaparency there is a strong argument for using the Meta Title to promote the fact that your site is offering Best Available Rate as with the example above. Last thing to note here is that Google have now launched their own reviews and the other review sites have been dropped to below the search. So what should you do? Well make sure that your hotel, bar, restaurant, leisure facility has the correct presence in Places. Ensure that no-one else has hijacked your business name and be ready for whatever comes next; for instance did you know that you can already highlight offers through Google Places? And most importantly do it NOW! Take note of what others are doing better or differently. Look at your rates differences in your own channels and your competitors. 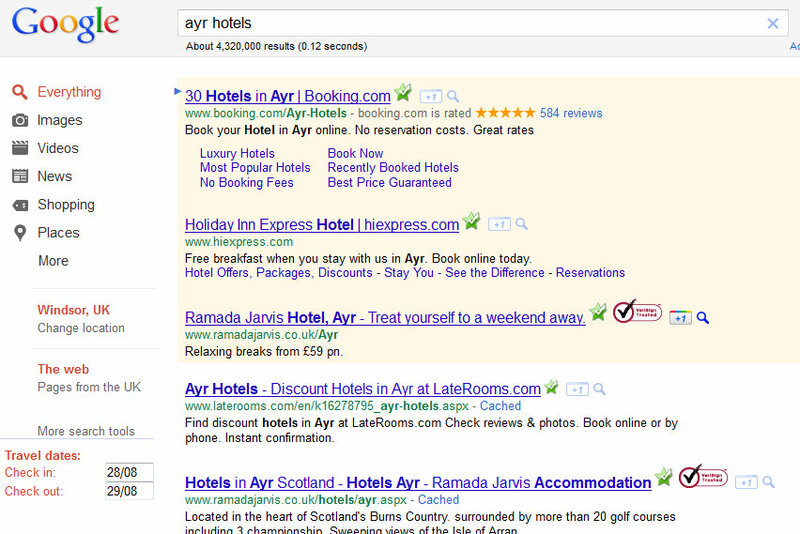 Look at Google Adwords - who's bidding for your brand or hotel name? Look at your metatags and content? Understand what they do. Google Places is going to play an increasingly important role in searches for the hospitality sector and it is important that product producers maximise their use of this free tool. If you need to understand how it's changing have a read of Google Places and Your Hotel. The following was motivated by an interview featured in HotelMarketing's blog in an interview with Laurian Clemence, Corporate Communications & Public Affairs with Google UK. Ensure that your business’s name, address and phone number are listed in a consistent format across the web. The Company/Organization field acts as the title of your listing and should include the word “Hotel” and your destination if they are part of your official business name.Google doesn’t permit descriptors or keywords in titles. Your property description is limited to 200 characters and needs to sum up what your hotel, product and key markets are. This 200 character limit is something that hotels and other businesses must come across on a fairly regular basis for online advertising, listings and other third party activity. Why not therefore spend some time developing a few templated 200 character descriptions for different markets - business, leisure, golf, activity... makes sense and means that you keep a consistent theme and never miss out the obvious things. Remember who, what, why where, when and how. Keep it simple. The same principle therefore applies as you would for the creation of a separate web page for each of your product areas - Leisure Club, Restaurant, live music venue - create a separate searchable entity for each one in Google Places linking back to the relevant website or page. You can choose up to five categories to describe your business. At least one must be standard; the rest can be customized. Google recommends being as specific as possible, as it will automatically determine the generic category as well. For example, if you enter “Country House Hotel” Google will know that you are also a hotel. Businesses can upload a maximum of 10 photos and five videos, so make sure they are high quality, representative of your property and do a job for your sales conversion. You can't currently add captions but that may come in the future. The chances are that increased user photo uploads will follow in the future but you should keep an eye on them and report inappropriate photos. It's obvious that you should ensure you place marker is in the right position as it will impact on Maps, Street View, Satellite View, Driving Directions and Hotel Finder in the future. You can also add offers and updates to your listing and again it is free and as with any content it is a positive means of ensuring that your business is seen as engaging with your customers and lead to increased conversion through your own website. 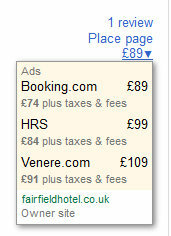 If you add an offer it will appear on your Places page and Google Maps listing. Similarly to share news, events or packages click the “Share an update” link. 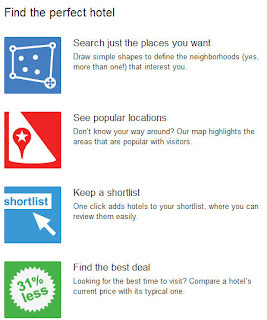 Google now features room rates and availability data on Places, Maps and Hotel Finder but restricts access to a limited number of online travel agencies, GDS providers and brands with sizable inventories across multiple markets. For your hotel, only a link to the hotel/brand website is provided. Some would argue that this is a deterrent to direct bookings but we'd argue that it's an awful lot less so than having OTA's buy your name in Google Adwords or flooding the searches with your product on their pages. 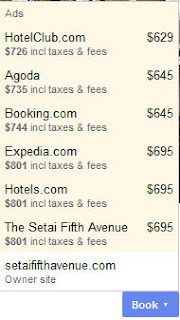 In any case it is likely that an interface will emerge allowing hotel's to show their own direct rates - soon hopefully. 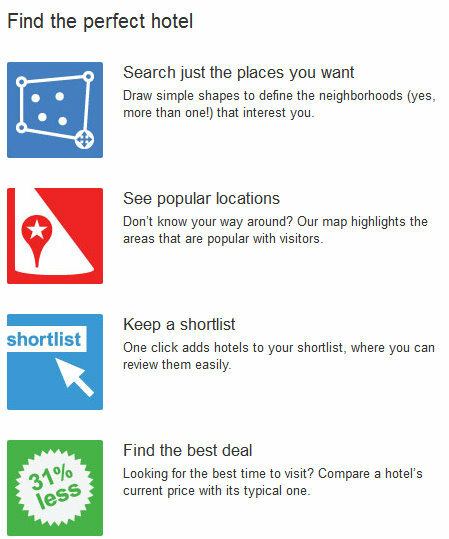 With the recent removal of third-party reviews from Places listings and the addition of a more prominent “Write a review” button, Google has embarked on a campaign to develop reviews from its own users and whilst the volume builds they may have limited effect but you should not ignore.With the introduction in the UK of Google+ and Google Hotel Finder and the integration of other products Google user reviews can only become a more important part of your online reputation management program. What’s the Future of Google Places? The opportunities for increasing direct sales for hotels is a real one and we see the new products as offering an opportunity for hotels to gain back some of the business lost to OTA's. It won't necessarily be easy but it is do-able if you put your mind to it. If like me you were completely unaware of Big Brother's re-emergence you may find the attached a little more interesting. Too often recently I've heard statements that allude to the fact that we need to capitalise on Ireland's problems with our own tourism marketing in Scotland. As a business we're linked pretty heavily to the Irish economy and see a little bit more closely how they work and with our experience as a golf tour operator to Ireland in a previous life we know for certain that in spite of the issues with hotel and golf course over capacity they have the ability to bounce back and punch way above their weight. The Irish tourism marketing machine can be mightily impressive and their recent Home of Champions golf marketing is in our opinion just the start of the fightback and if I was American and I was being hit by Drive it Home from VisitScotland or Big Break Ireland, I think I know where I'd put my money. Have a look at the press release below - and in particular watch the video footage - and tell me that as a golfer you wouldn't watch this? How much advertising money will be going in alongside for product positioning? I think it's Pure Genius! In advance of the season premiere of Big Break Ireland, Golf Channel today launched the series’ official microsite – www.GolfChannel.com/BigBreak. The new site features text and video bios about the 12 contestants, photos and preview videos, including a three-minute trailer that gives viewers a sneak peek into the drama and excitement that will unfold during the 10-week series. Weekly blogs from the producers and contestants also will post on the site, and fans will have the opportunity to opt in to become a “text club” member and receive weekly mobile alerts. Big Break Ireland’s Facebook page, (www.facebook.com/GolfChannel.BigBreak) will allow fans to interact with fellow fans and Golf Channel, as well as receive weekly bonus clips and features. Big Break Ireland, premiering Sept. 20 at 9 p.m. ET, will feature an international cast of six men and six women competing against each other in an attempt to make their lifelong dreams of playing alongside the world’s top golfers a reality. Filmed at The K Club in Kildare, Ireland, the ultimate winner will be awarded two exemptions from the four exemptions up for grabs – which represent events on the LPGA Tour, European Tour and Ladies European Tour, among other prizes. The Big Break show concept pits highly skilled golfers against each other in a variety of challenges that test their physical skills and mental toughness. During Big Break Ireland, one contestant will be eliminated each week, with the last person standing crowned Big Break champion. At a press conference today the International Orienteering Federation announced that British Orienteering will host the 2015 World Orienteering Championships in Scotland. There was competition to stage the event with Sweden submitting a strong bid; however the strength of the British Orienteering bid won favour with the IOF. The Championships will be based in Inverness during August 2015 and will utilise the world class terrain along the Moray coast and in the Cairngorms National Park. The Scottish 6 Days will run in parallel to the Championships and will bring 5000 competitors to the area boosting the local economy by an estimated £2 million. The foundation of the British bid is the strong partnership which has developed between orienteering organisations, government agencies and the local community who all have a shared vision for the event. The partners are: British Orienteering, the Scottish Orienteering Association, EventScotland, the Scottish 6 Days Event Company, and the Highland Council. An article from Cornell showcaisng the fact they have developed software that has a 90% success rate in identifying fake travel reviews themn went onto highlight a statement made to the American Securities and Exchange Commission that exposes Expedia worries over the "airing of grievances" on review sites and the fear of litigation in the future. Expedia to take the step of warning potential TripAdvisor investors of possible liabilities in the form of legal claims stemming from such user reviews. In a 184-page document filed with the Securities and Exchange Commission on July 27, Expedia said TripAdvisor could be subject to legal expenses related to claims ranging from defamation and libel to negligence. Last September, a group representing owners of about 120 U.K. hotels said it would file a class action against TripAdvisor, alleging that the site hurts sales at many smaller hotels and other businesses in the hospitality industry by publishing libelous and potentially false reviews without verifying them. U.K.-based KwikChex, which had been soliciting companies to pay 35 pounds ($50) to join a group legal action, said it presented its findings to the U.S. Federal Trade Commission in March. Forrester Research principal analyst Henry Harteveldt said Expedia’s warning in SEC filings didn’t surprise him. It is also worth noting that, in the history of the company, Groupon has raised a total of $1.1 billion of cash--and paid out $942 million of that cash to its early investors and executives (highly unusual for such a young company). If Groupon does get into cash trouble, therefore, it will not be because the company didn't discover an amazing new business opportunity or raise all the capital it needed. It will be because of, well, greed. The above comes from a Business Insider Article which really is worth reading in full. Given the nature of markets currently and runs on dollars, euros and share value decapitations it is not too unrealistic to think that unless Groupn can come up with answers quickly then they are going to see a reduciton in offers from businesses who clearly see a possibility of not being paid in the future. Reality and perception again. The voucher money may very well be safe but if they have any doubts will they stop providing product. Less product less cash flow, catastrophic collapse. It si not an impossible scenario. We're delighted to announce that our booking engine partners in Scotland Bookassist has announced official certification of their booking engine software integration with the OPERA Property Management System (PMS) from the world's leading hotel solutions provider MICROS-Fidelio. The connection service allows hotels to automatically and seamlessly manage their online reservations from Bookassist via the OPERA PMS. The connection service is the latest in a list of integrations between Bookassist's popular booking platform and the world's leading property management systems and channel managers. Speaking about the advantages of the integration, Karen Moran, Sales and Marketing Director at Moran & Bewley's Hotels UK & Ireland said: "We're delighted to have direct integration between our online booking and our MICROS-Fidelio OPERA property management systems right across the group. It saves considerable time and effort, and more importantly makes sure that the reservations detail is end-to-end accurate. The automation allows our staff to get on with the more important business of running the hotel rather than worrying about technology." Bookassist have collaborated with MICROS-Fidelio on the integration and client roll-out over the last 18 months culminating in official certification. A number of existing mutual clients have been using the integration since its first introduction in late 2010. Discussing the official certification, Bookassist CEO Dr Des O'Mahony said: "A significant number of our clients in all the countries we operate in are also MICROS-Fidelio clients. This integration is a real advantage for them, reducing manpower, eliminating transfer errors, and improving efficiency. We expect a significant uptake of this new joint service." "MICROS-Fidelio is pleased to offer connectivity between our hotel solution OPERA and Bookassist. The interface with Bookassist provides automated booking notifications directly into the OPERA hotel system," said Dr Peter Agel, Senior Vice President eCommerce and Strategic Solutions EMEA at MICROS-Fidelio. Bookassist® (bookassist.org) creates and manages successful and proven online strategies for thousands of hotels and groups and is one of the leading hotel booking engine and online marketing providers in Europe. Headquartered in Dublin and with offices in 6 countries, Bookassist has received numerous awards in Online Trade, Online Marketing, and Technological Innovation. Ian McCaig managing partner of Bookassist in Scotland, was delighted with the news, "This latest integration on top of some excellent new upgrades just presses the point about continuous improvement being critical. 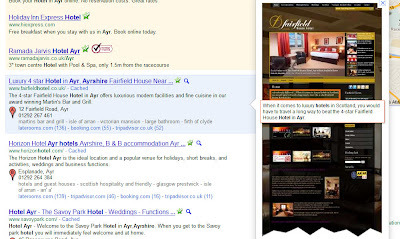 As the online booking sector moves ever faster with shifts to mobile, integration into social media and the need to react even more quickly to the market place this proves again that Bookassist can provide the hotel operator in Scotland - large and small - with the competitive advantages that they are looking for. If you're interested in finding out more about how Bookassist can work in conjunction with your MICROS set up inScotland email Bookassist Scotland or call 01292 512404. MICROS-Fidelio International (micros-fidelio.eu), the global markets subsidiary of MICROS®, is the premier provider of enterprise-wide integrated information technologies for the hotel industry. MICROS-Fidelio has become "the standard" in the industry with over 25,000 installations worldwide. Its enterprise solutions include multi-property, fully integrated hotel systems encompassing property management systems, sales and catering systems, central reservation systems, customer information systems, revenue management systems, an Internet/global distribution system-based hotel reservation service called myfidelio.net, and installation and support services associated with the various software products. Bookassist, the technology and online strategy firm for hotels, has announced official certification of their booking engine software integration with the OPERA Property Management System (PMS) from the world's leading hotel solutions provider MICROS-Fidelio. The connection service allows hotels to automatically and seamlessly manage their online reservations from Bookassist via the OPERA PMS. You may have noticed when browsing on Google over the past few weeks that there is now a new +1 Button. It has some similarities with Facebook's like button but has significant differences and potential benefits for your website traffic and search engine strategies. If you like any web page you can just click the +1 button on your screen and the same choicdes would become visible to your friends and contacts when they Google it. It is a virtual word of mouth recommendation. According to Google +1 is shorthand for "this is pretty cool" or "you should check this out" and they advocate that websites should embed the necessary code to allow your site visitors to publicly give the webpage their stamp of approval. The pitch is that +1's can help friends, contacts, and others on the web find the best stuff when they search. Watch the video below to find out a little bit more. We are recommending that all our clients should start using the +1 button on their website - it shouldn't take long and the notional cost should be well outweighed by the benefits. Just drop us an email and we'll let you know the cost and schedule the work in over the next couple of weeks for you. To find out why you could watch the video below and read some of the FAQs. Google provided some FAQ's on the developer website pages which may clarify some issues. Here's some of the the bits that may be of interest to you. When a signed-in Google user is searching, your Google search result snippet may be annotated with the names of the user's connections who've +1'd your page. If none of a user's connections has +1'd your page, your snippet may display the aggregate number of +1's your page has received. Does +1 affect my site’s performance in search? Content recommended by friends and acquaintances is often more relevant than content from strangers. For example, a movie review from an expert is useful, but a movie review from a friend who shares your tastes can be even better. Because of this, +1’s from friends and contacts can be a useful signal to Google when determining the relevance of your page to a user’s query. This is just one of many signals Google may use to determine a page’s relevance and ranking, and we’re constantly tweaking and improving our algorithm to improve overall search quality. For +1's, as with any new ranking signal, we'll be starting carefully and learning how those signals affect search quality. How does the +1 button work? If you want to use the +1 button, you will need a Google account. When you create a Google account, remember it is not just a mail-box; there are many added benefits to it. Generally, the +1 theme will work for all the Google sites but you are also provided with an option through which you can have the +1 button for non-Google sites. 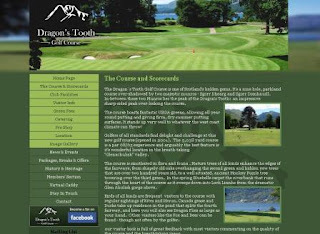 Just completed a wee update for the team at the wonderful Dragon's Tooth Golf Course near Ballchulish in the West Highlands. Plan B developed the new site for Laurence Young in 2010 and they have supplemented that with an active Facebook page and regular blogging. We've now dropped the RSS feed from his blog directly into the website to ensure that all blog items can be viewed from the golf courses own website as they come through. In addition we dropped in similar feeds from the Scottish Golf Union and The Herald sports pages to keep the members and site visitors up to date with the winder world of golf. Ian McCaig of Plan B commented, "The website developed for Dragon's Tooth is driven by our own tourism content management system The Claymore Project and it gives the course complete control over their content, images, and uploding documents whether they be green fees, competition entry forms or menus. We can then develop a highly visual website based around the needs of a golf course at a really competitive rate. 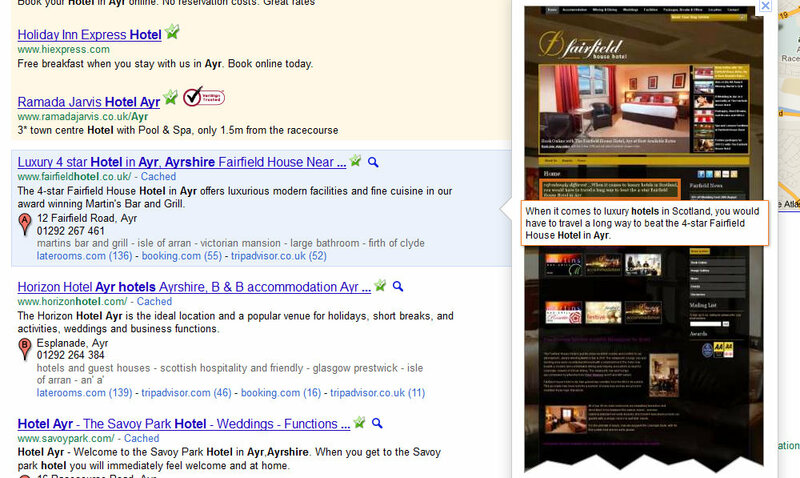 There really is no excuse for a golf course or club not to have a full CMS driven website incorproating the latest socail media tools"
This briefing was mailed out to Bookassist hotels across Scotland but stands up for any hotelier looking to maximise their share of online bookings direct from their own website. The past week has shown a dramatic increase in late bookings (less than six weeks out) across the whole of Scotland from small inns to large resort hotels. You need to make sure that you’re maximising the opportunity for converting this business through your own website. You must ensure that you have Best Available Rate on your own website through to the end of September. Web users may find you on a third party bookings website but large chunks of them will then check out your website for further information and your offered rate. It goes almost without saying that if your rate is higher there is no chance of switching the potential customer from the high commission third party website to your own low cost booking. Consider dropping a Best Available Rate box onto your site to grab the attention – we have a standard graphic available should anyone need one. You must at least offer the same rate to convert this business at the lower cost of sale. Again it should be a given but you need to ensure that you have as many rooms available on your own website as possible – right up to the very last minute. Increase the number of available rooms until the end of September if you haven't already and check when you are accepting bookings up until. If you’ve still got a restriction of several days ahead on your own website you may be losing out on valuable room sales – change it to same day for maximum impact. Ensure that your add ons are up to date and relevant for the summer period. Local visitor attractions, summer dining, room extras. All can help increase your secondary spends and guest satisfaction. If you’re using Facebook at least make sure that you are using it to the maximum. Ensure you have Bookassist bookings and guest reviews embedded on your Facebook page and that any offers you are promoting on Facebook are available to be booked online. There is little benefit in promoting it through social media and then telling them to phone you! All your rates and pacakges can be sold directly through Facebook at your standard commission rate. If you need assistance again call your account manager. 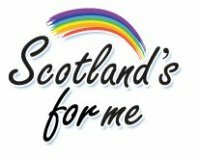 If you have any offers or late availability send it to us at this email address and we'll post it on Scotland's For Me via Blog and Facebook. It's free and may just gain you some extra DIRECT business. The following position has been advertised for the Golf Manager's Position at East Lothian Golf.